The St. Petersburg port-of-call offers guests four different space training experiences to Star City, a former top-secret cosmonaut training facility outside Moscow. Once aboard the largest parabola aircraft in the world, travelers get a lesson in zero-gravity. Or guests can choose to delve into the world’s largest Hydro-Space laboratory and experience the most advanced and challenging training a cosmonaut undergoes – installing a space antenna on a replica of the International Space Station. This all happens while being submerged in the 54,000 square foot hydrolab and wearing an authentic 275lb Orlan DMA liquid cooled spacesuit. Previously only available for Russian cosmonauts in training, Crystal has secured Star City’s Centrifuge TsF-18, the largest in the world, for Crystal guests to experience simulated G-force levels of all stages of space travel. For those who prefer to be on the “Houston” side of space travel, Crystal guests are invited to the Yuri Gagarin State Scientific Research and Testing Cosmonaut Training Center for a look at the history of Russian space travel, the Space Race, and an up-close look at Russian spacecrafts. During this sailing, guests can take a complimentary lesson in journalism from Tom DeFrank, the award-winning journalist and one of Washington’s most respected President-watchers. DeFrank has covered the White House since the Nixon administration and reported on the resignation of one President, the impeachment of a second, and was an eyewitness to two assassination attempts. His reporting skills have been praised by ABC News, the American Journalism Review, and even Former President Gerald R. Ford. Guests will have the opportunity to don a flight suit and helmet, board the famed Russian MiG fighter jet built especially for high-altitude missions, and zoom over Russia’s landscape at over twice the speed of sound. With the help of the English-speaking test pilot, guests will take control and guide the plane through simple maneuvers and circles. As part of Crystal’s “You Care, We Care” program, guests have the opportunity to become a vet-for-a-day at Rostock’s Zoological Garden, the largest zoo on the German Baltic coast. The zoo is home to more than 2,000 animals of 250 different species – from big cats to elephants, monkeys, polar bears, and more. During this complimentary shore excursion, guests will assist zookeepers in feeding these animals and keeping their environment clean and healthy. In Barcelona, Crystal guests can visit Camp Nou, home to Futbol Club Barcelona, for a day in the life of a professional soccer star. The stadium tour includes a stop at the visitors’ locker room, walking the tunnel for a grand entrance onto the pitch and dugouts, as well as stopping by the television studio and press room. Guests who aspired to become a teacher as a child can fulfill their dream by enrolling in Crystal’s complimentary “You Care, We Care” voluntourism program during the Petropavlovsk port-of-call. At the local international business school, Link, participants will become educators-for-the-day, teaching Russian teenagers conversational English via Skype. The new White Elephant Village is celebrating the second annual Nantucket Yoga Festival by offering a special rate with savings of $325/person. Guests looking to perfect their sun salutations will find this year’s festival schedule, July 12-14, full of wellbeing classes, lectures, a special farm-to-table dinner, and yoga (of course)! A natural extension of the top-rated White Elephant, sister hotel White Elephant Village offers guests who book a two-bedroom residence for the weekend a special rate of $450/person per night, as well as one $25 spa voucher per person to the White Elephant Spa. * The hotel offers a bevy of complimentary amenities to every guest, including: morning coffee and pastries; poolside snacks; beach chairs, towels, umbrellas, and boogie boards; beach and ferry shuttles; WiFi; and more. Dharma Yoga Nidra: Experience “after death” while still living – the experience of complete peace, the loss of physical and mental consciousness while still embodied. Follow divine guidance in this precise method of specific relaxation techniques developed by the Enlightened Ones, quickly resulting in mental and physical pacification, rejuvenation, recharging, and healing. Yoga Nidra is the best antidote for impurities and just a few minutes of it corresponds to an hour or more of regular deep sleep. Mangalam Yantra Yoga: Rarely taught outside of Tibetan Monasteries, this workshop will introduce participants to the basics of Mangalam Yantra Yoga, a Buddhist yoga practice that was originally introduced to Tibet by Indian Masters in the 10th century. This profound technique will help one discover one’s own inner Buddha nature through a series of heart opening meditations, guided breath work, and simple physical exercises designed to increase one’s life force and release emotional and energetic blockages. Slackline Yoga FUNdamentals: This entertaining class combines the art of slacklining (tightrope walking) and yoga to learn complete body awareness and redefine sense of balance and mental focus. Not only is it an impressive skill to have, but great training for yoga, surfing, climbing, and just about any other activity! Acro Yoga: This engaging class blends yoga with acrobatics to create a playful partner practice. Students will learn the fundamentals of acrobatics through partner yoga, basic human pyramids, counterbalances, and collaborate conditioning skills. For a complete schedule of activities, click here. Day and full weekend passes for the festival are available starting at $150 per day. A portion of the proceeds from every Full Festival Pass ($325 through April 30th, $375 after April 30th) will be donated to and directly benefit the Nantucket Boys and Girls Club. For more information, tickets, and a full schedule, visit www.nantucketyogafestival.com/. *Guests must use the promo code “YOGA” during booking to receive the discount. The rate is based on four-person occupancy with a three-night minimum and is subject to availability. No more waiting in line to ride Thunder Mountain. Swap riding the loop-de-loop for tracking leopards, cooking up tasty treats in a bush kitchen, and going on “poo walks.” As a leader in the industry of experiential travel, &Beyond is launching a new WILDchild program, offering children an interactive learning safari experience, an activity traditionally reserved for adults. 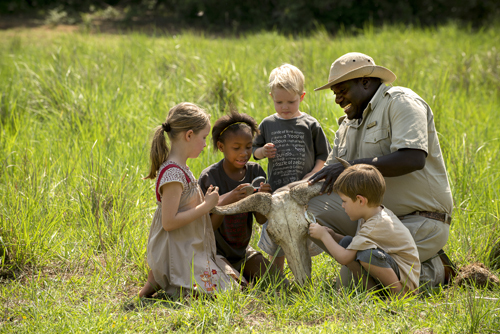 WILDchild, offered at &Beyond lodges throughout Botswana, Namibia, and South Africa, creates daily missions and excursions for children in the care of rangers, trackers, babysitters, and cooks. Every lodge has a range of missions that is suitable to the lodge environment and will be given to the WILDchild to complete daily. Each child gets a WILDchild backpack with a special logbook and other goodies. Throughout the safari, the log is filled with mementos from the bush, notes, stickers, and badges. Each &Beyond lodge has a signature item to add to the bag (solar powered flash light, magnifying glass, compass…). For more details on andBeyond’s 32 extraordinary lodges and camps in Africa and India, visit andBeyond.com. Spring in the Napa Valley: the air is fresh and fragrant with blooming wildflowers, vineyards are awash with green buds signaling another growing season, and afternoons are filled with bright abundant sunshine. From hikes and golf clinics to a new bar at The Restaurant at Meadowood, this season’s happenings are a refreshing spring awakening. The Napa Valley Collects exhibition will showcase work from the region’s private art collectors at The Napa Valley Museum now through the end of May. The exhibition includes significant works sourced from throughout the Napa Valley, many never shown in public including pieces by artists such as Pablo Picasso. The Land Trust of Napa County offers hikes each weekend now through June. Ranging from low impact observation hikes to more strenuous hikes like Maggies Peak, which offers 360 valley views at the summit. Hikes are complimentary and are based upon availability. The Chardonnay Golf Club has partnered with the Meritage Resort and Spa to offer Golf Digest’s Napa Valley Golf School. The one- or three-day intensive lessons are with a Golf Digest-certified instructor and are available starting at $1,499 per person. The Restaurant at Meadowood’s new lounge and bar now offers a three-course menu for $90 per person, and “snacks from Chef Christopher Kostow”, a light tasting menu for $20 per person. The inaugural BottleRock Napa Valley music festival, May 8-16, will feature over 60 artists and bands, including The Black Keys, Kings of Leon, and Zac Brown Band. Over a dozen comedians, including Jim Gaffigan, Demetri Martin, Wyatt Cenak, and Kristen Schaal will provide laughs in between musical sets. Day passes start at $139, multi-day passes start at $329. Embark on a hot air balloon ride with Harvest Inn’s “Up, Up & Away” package. Channel the inner artist at The Meritage Resort and Spa with the “Art of Relaxation” package, which includes an easel, paint, and brushes. Unwind at the Villagio Inn and Spa with the “Arts in April” package with a VIP Wine Tasting at V Wine Cellar, spa treatments, and a Champagne sabering session. 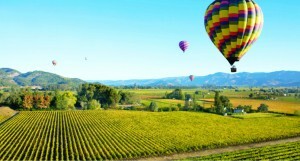 For more information about travel to the Napa Valley, including special offers and a full calendar of spring and early summer season events, visit www.visitnapavalley.com. The Napa Valley is home to the founders of America’s fine wine industry – legendary entrepreneurs who showed the world that the art of winemaking had crossed continents. Prized for its natural beauty, phenomenal culinary scene (13 Michelin Stars awarded for 2013), world-class hotel accommodations, robust arts community, and one-of-a-kind wellness experiences including the region’s famed spas, mud baths and healing geo-thermal springs, The Napa Valley is the official wine region of the 34th annual America’s Cup, and in partnership with San Francisco, is internationally recognized as one of only nine Great Wine Capitals. Visit www.visitnapavalley.com for more information or to download the award-winning Visit Napa Valley Mobile App and join “The Napa Valley” community on Facebook, and follow @visitnapavalley on Twitter. There’s nothing better than sipping a glass of whisky while watching the sunset over Nantucket Bay. TOPPER’S restaurant at The Wauwinet introduces a custom-made 10-year-old Woody 25 single malt whisky, named after the inn’s beloved antique Chevy Woody. The Wauwinet teamed up with Nantucket’s Triple Eight Distillery in collaboration with Cisco Brewery to create their proprietary single malt whisky. The barrel of locally-made Scotch-style whisky has aged gracefully over the past decade. Now, in honor of The Wauwinet’s 25th Anniversary, they are tapping the barrel! Only 200 bottles of the Woody 25 will be available. This watershed anniversary celebration of The Wauwinet signifies a quarter of a century of luring guests back time and again for a vacation full of classic Nantucket charm, beautiful sunsets, and, of course, unforgettable food and drink. Aged 10 years on-island, the whisky, with its robust 44.4% alcohol content, is the color of a deeply strawberried golden straw. Its nose evokes an equally rich aroma of sweet almond, apples, and cranberries that is balanced with warming vanilla and earthy oaken tones. The taste, initially spicy and herbal, quickly mellows to flavors of honeyed treacle and caramel, with a long, dry finish of toasty oak and herbal anise – perfect to savor along with freshly shucked oysters or a decadent Lazy Lobster Bake from TOPPER’S. While individual servings of Woody 25 will be on the menu for those dining at TOPPER’S at $25 per serving, the option to purchase of one of the limited run of 200 bottles at $250 for a 750ml bottle will only be available to those guests staying at the hotel. How is it best served? Neat, of course! But for those who like a little something extra, a menu of carefully-crafted Woody 25 cocktails has been created for TOPPER’S to celebrate the silver anniversary of the inn. The Wauwinet’s 25th Anniversary season is the perfect time to visit – with celebratory perks such as a $25 two-course lunch at TOPPER’S* – and to raise a glass of Woody 25 to the classic Nantucket inn! The Wauwinet and TOPPER’S will open for the season on May 8, and the Woody 25 whisky will be available at both the inn and restaurant early this summer. For more information call 508.228.0145. *In celebration of the 25th Anniversary, TOPPER’S is offering a special two-course lunch for $25 May 8-14 and May 20-June 7, excluding Sunday Brunch. The first major retrospective of Roy Lichtenstein in more than 20 years will be on exhibit at the Centre Pompidou this July and August. To celebrate Pop Art’s arrival to Paris, Pavillon de la Reine is offering the “Lichtenstein at the Centre Pompidou” experience for guests to enjoy a number of the New York artist’s famous paintings and sculptures, including Look Mickey, Whaam!, and Masterpiece. Organized by Centre Pompidou in partnership with the Art Institute of Chicago and the Tate Modern in London, Roy Lichtenstein: A Retrospective will exhibit the artist’s expansive legacy. Lichtenstein is best known for classic early pop paintings based on advertisements and comic-book treatments of war and romance; his interpretations of paintings by modern masters; and series such as: Brushstrokes, Mirrors, Artist’s Studios, Nudes, and Landscapes in a Chinese Style. Alongside Andy Warhol, Lichtenstein was a leading figure of the new art movement in the 1960s. It can be said that Pop Art was “defined, refined, and ultimately blown wide open” by the groundbreaking American pop artist. Lichtenstein is most distinguished by his use of hand-painted yet mechanical-looking dots to create areas of tone and color, which became his signature technique. “Lichtenstein at the Centre Pompidou” is available for travel from July 3-August 31, 2013, with rates starting at €385 per night including tax and service charges. To book a reservation visit www.pavillon-de-la-reine.com or call + 33 (0) 1 40 29 19 19. In partnership with Massachusetts BMW Centers, the White Elephant, White Elephant Village, and The Wauwinet will provide guests of their top suites with their own set of wheels this season – a 2013 BMW X5 Sport Activity Vehicle. Guests who book The Loft at the White Elephant, any of the three-bedroom Residences at White Elephant Village, or the Coatue Suite at The Wauwinet will receive the keys to their own BMW for complimentary use during their stay. Named to Conde Nast Traveler’s 2013 Gold List and Travel + Leisure’s 2013 World’s Best Hotels, The Wauwinet’s spacious Coatue Suite features a private deck with views of Nantucket Bay and direct access to the property’s famous lush lawns. This ‘adults-only’ hotel is the only Relais & Châteaux property on Nantucket. For those wishing to be at the heart of the action, The Loft at the White Elephant, also named to Conde Nast Traveler’s 2013 Gold List, is a bright and airy three-bedroom condo nestled right in the heart of town. And just moments from Main Street, the White Elephant Village Residences offer easy access to the island’s vibrant shopping and dining scene and local beaches, not to mention an array of complimentary amenities, including a swimming pool and bicycles. Both The Loft and the Residences are ideal for families and groups of friends looking for a vacation home experience with all the benefits of a five-star hotel stay. 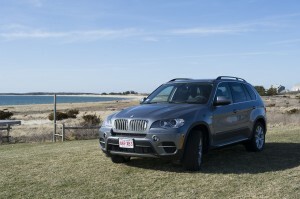 Guests can take their BMW X5 35i on a drive through Siasconset, a tranquil community with rose-and-ivy covered cottages, explore a different beach every day (Nantucket offers 80 miles of swimmable beach), enjoy an organic lunch at Bartlett’s Farm, and check-out the oldest working windmill in the US, Nantucket Windmill, built in 1745. Or head to Madaket Beach, located on the most western tip of the island for a stunning view of the sunset. 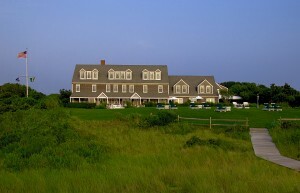 For more information and rates visit www.nantucketislandresorts.com or call 800.475.2637. *Amenity is available for the 2013 and 2014 seasons. This summer The Wauwinet, the only Relais & Châteaux property on Nantucket, will be celebrating its 25th Anniversary. The celebration continues at The Wauwinet’s renowned restaurant, TOPPER’S, where the first glass of their proprietary whisky, the Woody 25, will be poured. The Woody 25 is a single malt Scotch-style whisky distilled, aged, and bottled on island by Triple Eight distillery in collaboration with Cisco Brewery; it has been aged 10 years and bottled just in time for the 25th anniversary. TOPPER’S will also present its Silver Cocktail Menu with commemorative specialty drinks. While originally opened in 1875 as one of the island’s first hotels, The Wauwinet as we know it today officially arrived on the scene in 1988. Named for Chief Wauwinet of the Wampanoag tribe that inhabited the island, The Wauwinet has a storied past that spans over 140 years. Some snippets from the inn’s lengthy timeline include: The fare to cross from Hyannis to Nantucket on the steamship cost 50 cents in 1875, the year of its opening; in 1882 the inn was purchased by new owners for $1700; in the early 1900s a second floor was added to the building; and in the 1930s taking a summer vacation on the elbow-shaped island was firmly established as an American tradition. The Karp family purchased the Wauwinet House in 1986, and after an extensive renovation, the inn opened in 1988 as The Wauwinet. The 2013 season signifies 25 years of welcoming guests back time and again for a stay full of classic Nantucket charm. Over the course of the past quarter century, The Wauwinet has truly become a quintessential vacation destination. To book a stay, visit www.wauwinet.com or call 1.800.426.8718. Three new two-bedroom Beach Houses have recently opened at Parrot Cay by COMO in The Turks and Caicos Islands. They are the latest addition to the award-winning private island resort, and have been designed by Cheong Yew Kuan, the Bali-based architect who also created Donna Karan’s house on the island. Nestled among sand dunes with uninterrupted ocean views, each detached Beach House has a large outdoor deck, private pool and direct access to the powder-white beach. Floor-to-ceiling windows flood each property with natural light, allowing gentle sea breezes to flow through the open-plan living spaces. Relaxed Hamptons-style interiors in sun-bleached neutral shades include spacious living and dining areas with fully-equipped kitchens, two bedrooms, each featuring kingsize four-poster beds and large ensuite bathrooms with private outdoor showers set within their own gardens. The houses, which are well suited to friends or family travelling together, are furnished throughout with COMO’s signature contemporary style and antique pieces from Indonesia. Each Beach House also comes with the exclusive services of a COMO butler. The houses are situated just a short walk from the infinity pool, which forms the heart of the main Parrot Cay resort, and a five-minute buggy ride from the award-winning COMO Shambhala Retreat on the other side of the island. Here, a full and varied wellness programme includes yoga, Pilates and Asian-based treatments such as shiatsu and Ayurveda, along with signature COMO Shambhala massage therapies. Experienced, intuitive therapists respond to each guest individually and recommendations are made on a consultative rather than prescriptive basis. The new two-bedroom Beach Houses are available to rent on a per night basis starting at US$3,300. 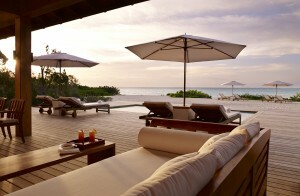 For more information please visit www.comohotels.com/parrotcay. Parrot Cay by COMO in The Turks and Caicos Islands is the northern Caribbean’s pre-eminent private island. It combines nature—1000 unspoilt acres, a mile-long powdered beach—with relaxed luxury and the multi-award-winning COMO Shambhala Retreat, which offers a range of holistic, Asian-inspired therapies, from reflexology to Ayurveda, as well as yoga and Pilates with world-class tuition. Yoga weeks are held throughout the year; daily complimentary yoga classes are also popular, and take place in a dedicated pavilion overlooking the island’s wetlands. There is a substantial, fully equipped gym as well as tennis courts for the actively inclined. 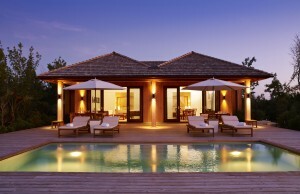 Accommodation, comprising whitewash interiors with chic teak finishing, includes beachside houses and villas. Plunge and infinity pools are attached to the bigger beachside houses, with one main pool for all resort guests. The island also features very large private residences available for purchase and rental to deliver even greater privacy away from the main resort. The island’s two restaurants serve gastronomic and easy dining as well as healthy COMO Shambhala Cuisine, with watersports, diving and island adventures completing the Parrot Cay experience for families, honeymooners and couples seeking impeccable service at one of the world’s leading beach resorts. Maximum security and privacy makes for a hassle-free and relaxing holiday. COMO Hotels and Resorts creates personalised luxury travel experiences in its Urban Hotels, Island Resorts, Adventure Retreats and Wellness Resorts – highlighting wellness, cuisine, adventure and culture, service and design – while always trying to uphold a strong, sustainable approach towards the people and places where we operate. 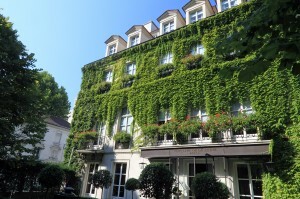 Founded by Christina Ong, COMO Hotels and Resorts develops and manages handpicked, individually curated properties: The Halkin by COMO in London, two Metropolitan by COMO hotels in London and Bangkok, Parrot Cay by COMO in the Turks and Caicos, Cocoa Island by COMO in the Maldives, and three Uma by COMO experience resorts in Bali and Bhutan. Point Yamu by COMO is a new property in Phuket, Thailand, opening 2013. The company also manages COMO Shambhala Estate in Bali in partnership with its sister brand in wellness, COMO Shambhala, which promotes health, relaxation and learning through its products, services, cuisine, treatments and spa facilities within each COMO property. Rethink summer vacation and head to the Bahamas for a trip the children won’t soon forget. This summer, One&Only Ocean Club makes it easier than ever to get down to Paradise Island with its two great deals, the Summer Retreat and the Beachfront Family Getaway. Stay 7 nights and only pay for 5, or spend 14 nights and only pay for 10. Available for stays July 1-September 30, book by August 30. For families that want to be right on the beach, reserve one Beach Front room and receive 25% off a second, connecting Beach Front room for a savings of $350 per night. Available for stays May 27-December 19, book by December 1. The perfect spot for families, Ocean Club is secluded and safe so children can have a little freedom. At the KidsOnly club, children can take cooking lessons from One&Only chefs and golf and tennis lessons from the resident pros, or just enjoy the beach games, arts and crafts center, library, or game room. Parents can get in a few rounds of golf or some tennis lessons, relax in the spa, or just read on the beach.